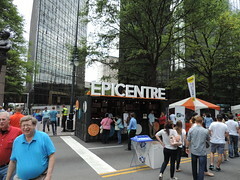 This past weekend we teamed up with The CIM Group and its premier urban entertainment venue EpiCentre, to create a uniquely branded space at Taste of Charlotte, a three day outdoor festival exhibiting local food, drink, and retail that the city of Charlotte has to offer. 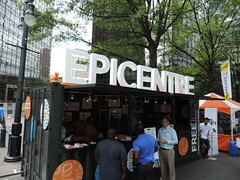 The space was designed to promote the EpiCentre, a 305,000 square foot entertainment destination located in the heart of Uptown Charlotte. 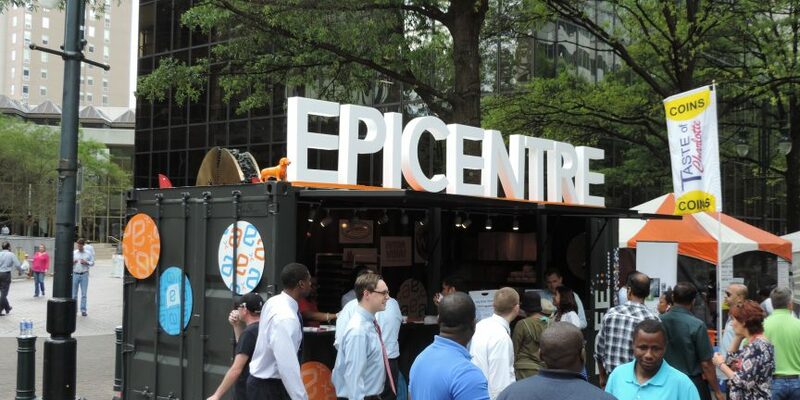 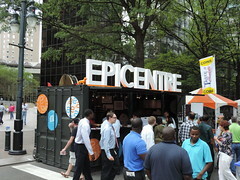 The EpiCentre utilized one of our modified 20’ containers to showcase the dozens of eateries located in the EpiCentre. 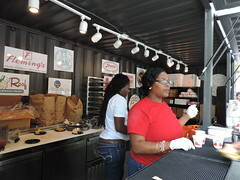 To do this we turned a 20’ shipping container into a concession area that can easily be set up and transported. 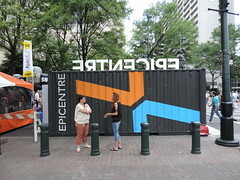 The simplistic design includes an external serving area with three flip up windows, along with a half-door for staff entry. 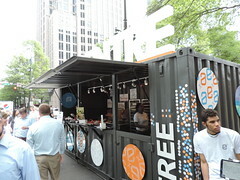 The space is wired for electric, with track lighting, and a non-skid floor material making it perfect for the 18 separate vendors that utilized the container environment over the 3-day weekend, offering samples to street fair guests. 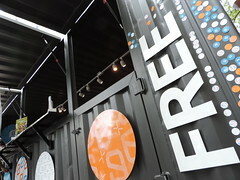 The space was finished with both flat and three-dimensional branding elements that added depth and dimension to the structure. 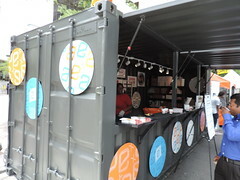 Our personal favorite was the bright orange dachshund sitting atop the container. 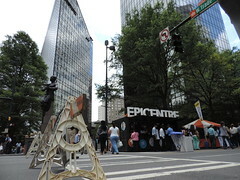 See if you can spot him in the pictures below. 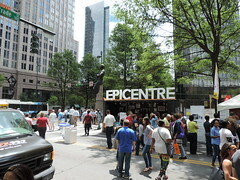 We want to thank the CIM Group and the Epicentre for the opportunity to take part in this great event in Charlotte.